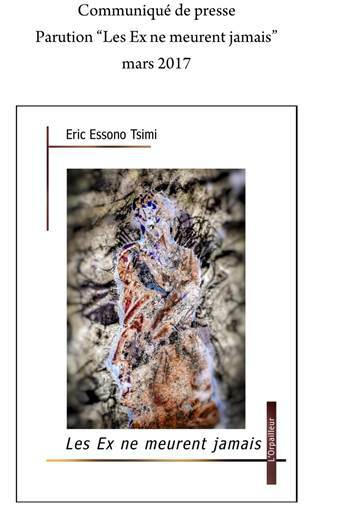 Congratulations to graduate student Eric Essono Tsimi for the imminent publication of his new novel, "Les Ex ne meurent jamais," forthcoming from L'Orpailleur Press in a few short weeks! UVa graduate student, Eric Essono Tsimi will have the imminent publication of his new novel "Les Ex ne meurent jamais," forthcoming from L'Orpailleur Press in a few short weeks! Congratulations Eric!